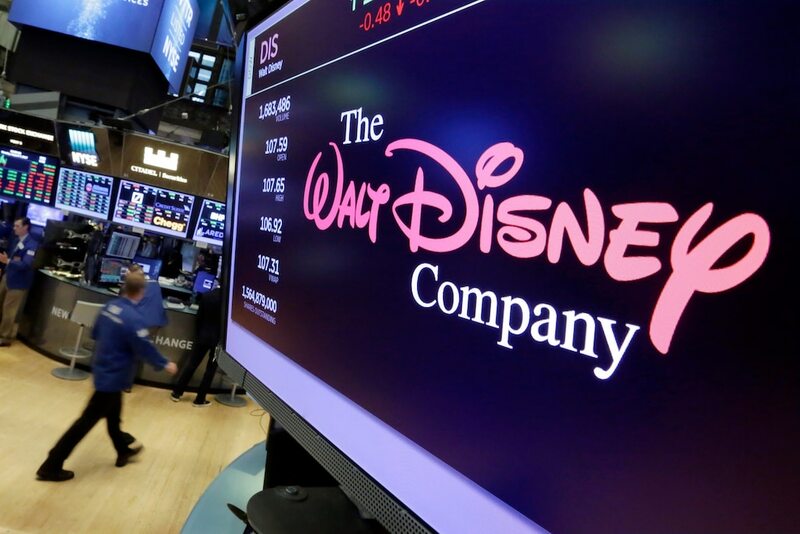 Disney shares rocketed more than 10% on Friday morning to a record high after the company released details of its new streaming service, Disney Plus. The company says the entire “Star Wars” series and the first 30 seasons of “The Simpsons” will be available to stream at launch. 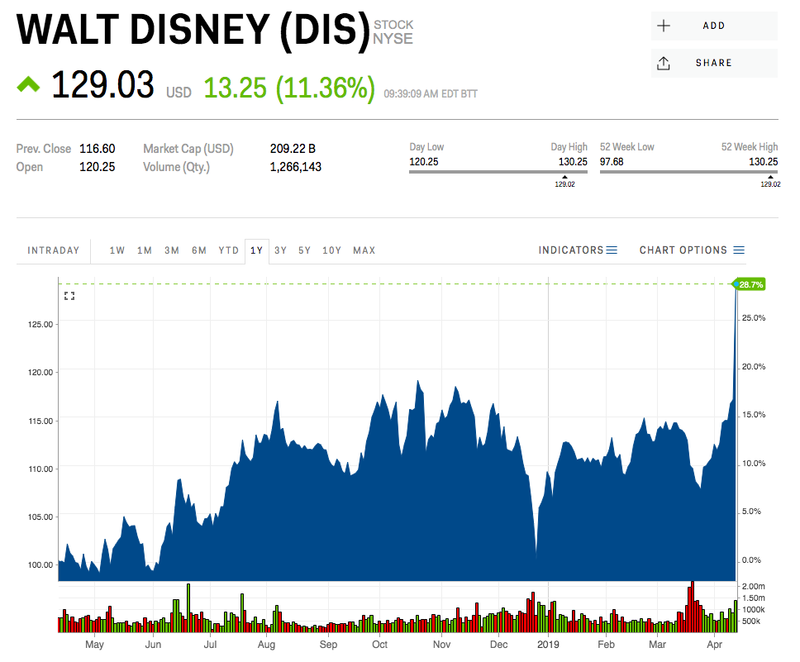 Disney shares were up more than 10% on Friday morning, hitting a record high of $130.90, after the company revealed details of its new streaming service, Disney Plus, during the company’s investor day on Thursday. The new service is positioned to rival Netflix, which today dominates the space. Disney plans to launch the service in November at a price of $6.99 a month, a notable discount to Netflix’s monthly pricing, which ranges from $8.99 to $12.99. The company says the new service will include content from Marvel, Pixar, and National Geographic. Disney expects the service to include 25 original series and 10 movies and specials in the first year in addition to more than 400 titles from its library. It says the entire “Star Wars” series and the first 30 seasons of “The Simpsons” will be available to stream at launch. The entertainment giant expects 90 million households to subscribe to the service, which it expects to achieve profitability in 2024. The UBS analyst John Hodulik was positive on the platform’s subscriber outlook but noted that questions remained on the extent of foregone licensing revenue for Disney, which is working to remove its content from competing services. “While not providing specific EPS guidance we believe management has given enough detail to help investors model near term earnings trajectory while showing confidence in the long term subscriber opportunity,” Hodulik wrote. Shares topped Hodulik’s price target of $128. Wall Street is generally bullish on Disney, with 70% of analysts holding a “buy” rating. The company is set to report its first-quarter results on May 8. Disney was up 17% this year after Friday’s gain.